Located 5 hours off the Caribbean coast of Mexico, a 10ft boat made of nothing but tin carries six people further out into the ocean. Our boat captain tells us we are on a mission to find a secret spot. 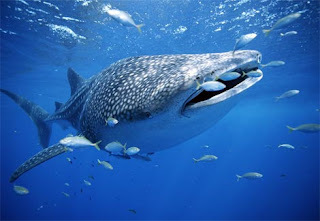 Today we are searching for the elusive Whale Shark.